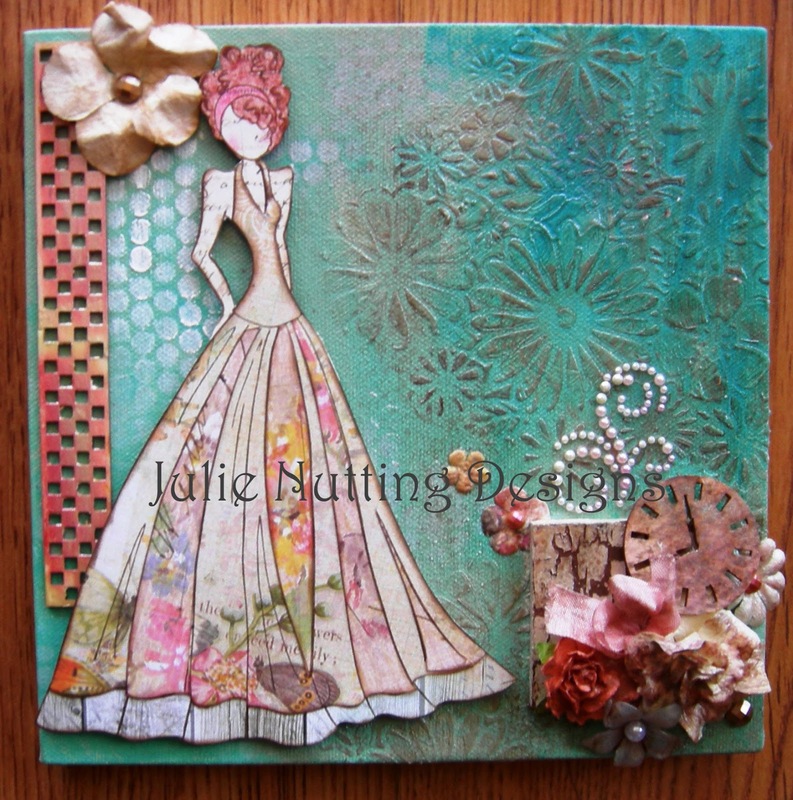 Julie Nutting Designs: New Classes, New Locations! Wow! Have I been busy! Lots of new Prima product coming your way in the next 6 months! I've been so busy thinking up new goodies, setting up classes, making samples working on my book, my head is spinning! I just listed classes for the fall season. I will be in lots of new locations throughout Southern California, so check the sidebar for a location near you. I have made most of the classes very different from each other if the store locations are less than an hour from each other so as to not overlap too much. You will notice some gaps....some exciting things in the works that I won't talk about until it's all set in stone. I have some Northern California stuff pending so be on the lookout for that! On a side note, if you're thinking about the cruise, the prices go up after September, so put your deposit in soon. There's just a few spots left! The newest set of stamps and the stencil have been successful and sold out again. Thank you all for your support! I hope you're all having fun playing paper dolls! 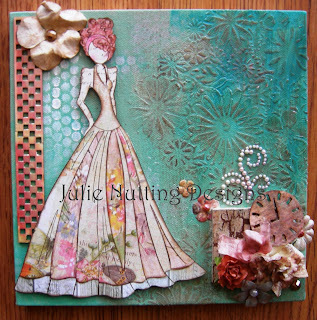 A really beautiful creation Julie and that's my favourite of your new stamps too - just gorgeous! Love the new doll stencil! Thanks for developing these fun, relaxing playthings, and for keeping the prices quite low (the new 12x12 stencil was less than $5). I also love the packaging for the stencil and will be using some of the packaging in the creation of my dolls! Do you ever expect to be teaching in the beautiful state of Michigan? We have some AMAZING Independent craft stores and Art Guilds here that I am sure would love to host your classes! Oh this is simply gorgeous. The texture is wonderful as is the colour palette. I was thrilled to receive one of your stamps as a birthday gift (a surprise gift from a friend) and know I will have a bundle of fun creating with it. I now have your complete set of Doll stamps, I love them and am hooked. Would love to see some male ones in the line too. I wish I lived closer so I could attend one of your classes. Can't wait to see all the new goodies..
Julie! I am so glad I found your blog. I'm your newest follower. I think I am following you on Pinterest as well. I just bought 7 of your prima doll stamps yesterday at CKC Lancaster PA and I am ready to learn how to use em. Looks like your classes are in CA. ANy plans to come to the east coast???? We love you over here!